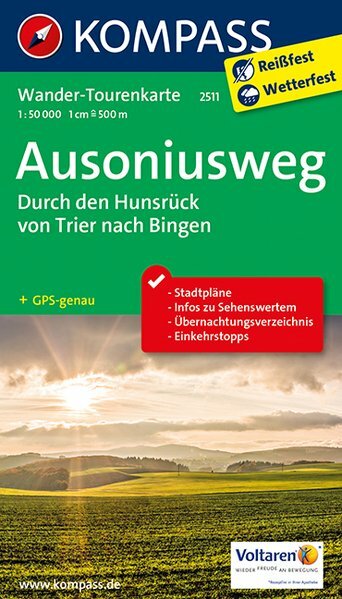 A well documented hike in western Germany. The theme of this trip is the Roman Empire. Bingen and Trier were important cities of the Romans on the Rhine and Moselle. A Roman road - the Via Ausonia - connected these two cities. The road is named after the Roman poet Ausonius who, in 371 AD, described this route. A part of the original Roman road is still in place, and this trail of course takes its course. 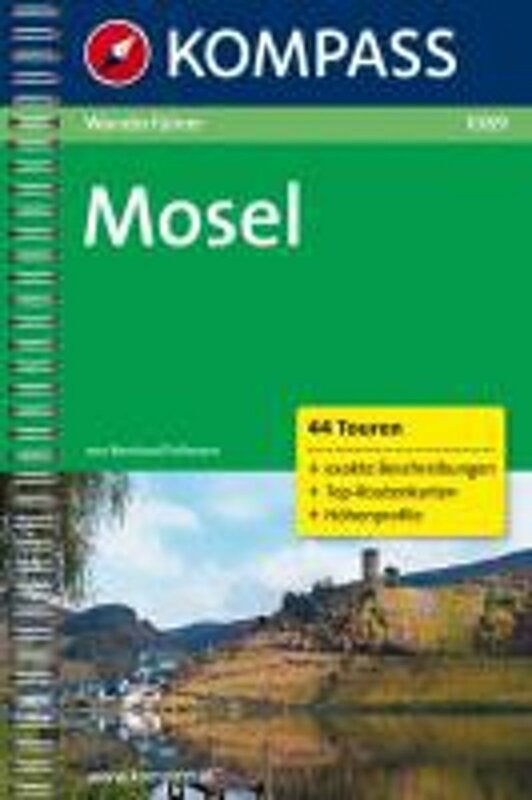 A variant brings you to the town Neumagen, another Roman stronghold on the Moselle (Novio Magnum). This walk is pleasant for another reason: it stays relatively hight on the hills of the Hunsrück, above 500 meters. Here, forests give way to open country, and you will enjoy nice views. Description by section, GPX files for download.